- Michael Foot's visit to Mostar. In the months leading up to the opening of the Pavarotti Music Centre in December 1997, we had numerous visits from local, and not so local, politicians. I remember stumbling across ex-Tory minister, Michael - Something of the Night - Howard in the reception area. He was being shown the nearly-completed building by an official from the EU Administration offices. I asked him what he was doing in Bosnia Hercegovina. ‘I’m on a fact-finding mission,’ he said. ‘Who are you meeting to do that? I asked. ‘Politicians,’ he said. I answered, ‘Mr Howard, you should know better than anyone. You don’t go to them for facts.’ He did laugh. In July I had watched Steve Biko’s ex-driver, the percussionist, Eugene Skeef, run workshops in the town. He had been invited to Mostar by Nigel Osborne and had recently worked with Edmund Mhlongo in Kwa Mashu on the Ngoma cultural education project. Remembering Mandela’s words to me that our music centre was a project needed in Africa, I realised that Eugene was a key to internationalising the PMC. I had also heard about the success of his djembe classes with children in the UK. His first workshops were so successful I offered him the job of director of music development at the centre. He agreed to start work when the building opened. A few days before Eugene returned to London, we went to Dubrovnik. There we met two German doctors and they were interested to hear about our work in Mostar. Eugene had their eyes popping with his words about the importance of music and rhythm in our lives. One of the doctors said he spoke like a poet. He laughed and rewarded them with, “listen for the cadence of the sun in its journey that never ends. When night falls and the song fades, follow the rhythm of the moon when your voice disappears like a bird.” Those words got us a bed for the night. When we told them we were going to spend the night sleeping on the beach, they invited us to stay at their hotel, Villa Dubrovnik. 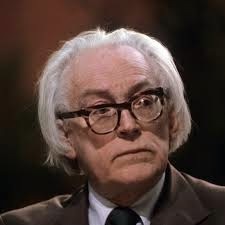 Much to our surprise, there, at the bar was a politician I was delighted to meet; Michael Foot and his wife, Jill Craigie. They told us they stayed there every summer. Sitting on the hotel balcony overlooking the old city walls, we discussed the war and the film he and Jill had made about it, Two Hours From London. I told them what a good documentary it was, but that it was a bit light on the Bosnian-Croatian war and that they should visit Mostar. Michael agreed to come with us the next day. Jill opted out because she didn’t like travelling along the serpentine roads. When I got back to Mostar, Eugene and I went to a cafe close to the suspension bridge which had replaced the destroyed stone bridge. We watched in horror as a young man climbed over the rope hand-rail and hurled himself the twenty metres backwards into the Neretva. We rushed down to the river and Eugene and I managed to grab hold of his arms. We thought he should go to hospital, but he said he was okay and got up to walk away. I persuaded him to come to my flat which was close to the bridge. He was soaking wet and Eugene gave him one of his T-shirts and a pair of his trousers. Over coffee he told us he'd come from Kiseljak in central Bosnia. He had never recovered from the loss of his mother, father and two sisters in the war. He had an aunt who had been living in Mostar and had come to look for her. She, too, had been killed. In despair, he had spent the last of his money on drink and then had decided to end his life. He had been disappointed to find the suspension bridge was four metres lower than the old bridge which had been twenty-four metres high at its apex. But he still thought he would die if he fell backwards into the water. While he was talking Eugene played soothing rhythms on his djembe. When he left us we felt guilty we hadn’t been more persistent in insisting he go to the hospital. I don’t remember giving him my address so I assume he must have contacted the War Child office. All these years later Michael’s ‘Byron’ is on my shelf and I dip into it a lot. I always start by reading the dedication. I don’t know what happened to the man who fell from the bridge and what he did with his darkness.